Coca‑Cola is the world's favourite soft drink and has been enjoyed since 1886. It was invented by Dr John S Pemberton and first went on sale at Jacob's Pharmacy in Atlanta, Georgia. It was actually Dr Pemberton's bookkeeper, Frank M Robinson, who invented the now world famous red-and-white logo with its special Spencerian script. Coca‑Cola arrived in Britain in 1900, when Charles Candler brought a jug of syrup with him on a visit to England. Later, in the early 1920s, it went on sale in Selfridges and at the London Coliseum. Coca‑Cola is now the most recognised trademark in the world, available everywhere from Australia to Zambia. 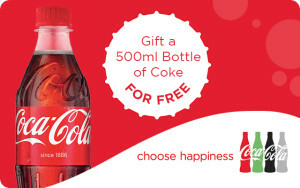 Today you have a lot of choice in how you enjoy Coca‑Cola, with regular Coca‑Cola, sugar-free Diet Coke and sugar-free Coke Zero available in a variety of pack sizes for every occasion.